This is yet another version of our lovely GBWhatsapp - GBWA v5.90-2.17.296 - which is September 2017 latest update, available for all Android users. If you are a fan of GBWhatsapp, then it's time to update to the latest version and enjoy more exciting features it has to offer. Incase you are new to GBWhatsapp, this app is a modded version of the official Whatsapp version on Playstore. People tends to use GBWhatsapp more because of its great features, chat experience and customizations that the regular Whatsapp version don't have. You can do so many things on GBWhatsapp which are not yet added to the official Whatsapp version. If you are already using GBWhatsapp, you'll attest to the fact that it has great features and UI. The latest version of GBWA v5.90-2.17.296 has brought along more interesting features to the table. In this post, i will list out all the features that came with the latest version of GBWA v5.90-2.17.296, and also a direct download link to download the app. Kindly read along. You have the opportunity to run two WhatsApp on one Android device. When copying multiple chats, you have the option not to include the “Date stamp” and “Sender”. Various text and line color customization. If you are a WhatsApp group admin, you can see the people active on your group and the inactive ones. You can send all kinds of documents, be it apk, pdf, mp3, mp4, zip/rar files, GIF, photos as well as bigger video size. You can send broadcast message to 600 people instead of the regular 250 users limit. You can set SECURITY PASSWORD to your chats. Isn't this an interesting feature? Exclusive Custom Privacy for Hide/View Status. Unlocked Album Feature when you send more than 3 Images. Updated Message Scheduler - Now you can Edit Scheduled Messages. Other minor bugs has been fixed. 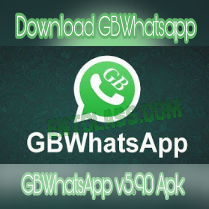 Where to Download Latest GBWhatsapp GBWA v5.90-2.17.296? After downloading, Install the app, restore chats and enjoy the updated GBWhatsApp. That's all friends. Do me a favor and share this post using the Share buttons available below. Also don't forget to leave a comment down below. Your blog is very beautiful. Reading information in here is very easy and fully. Thank you very much and hope you keep your sharing more. This is nice, Good updates. Nice from you kachi, thanks for this, you are doing a great job.